Saw the 8gb version in blue on HUKD and remembered this one had the 16GB rom and was in White! In stock, ordered one 55 mins ago. Also think that this model has GPS as well. This model has in fact got GPS. This model has the later [may 2016] MT8193 quad core cpu in it. This model is nothing like a 2011 / 2012 tablet with 1gb ram in it. This model is not an iPad 12.9" pro and is not £850! If this thing runs anything like the a500 they built a few years back I'd avoid it like the plague . If this thing runs anything like the a500 they built a few years back I'd …If this thing runs anything like the a500 they built a few years back I'd avoid it like the plague . The 1GB ddr3 ram is also more than enough to run marshmallow / apps very fluidly. This is £79 everywhere else, hence why we got one as it is cheap but not cheap like the Lenovo's with similar spec. This will be a very slow tablet the 10 inch acer had 2gb and it's slow! Battery is terrible/poor camera/slow boot up and will it get any Android updates? Will this not eat at your CPU and Memory though, these hacks are useful but usually have to run constantly to play apps and slows down the system alot!! Looks like garbage, I'd avoid this unless it was a tenner. You can load the Google Play Store on manually. Its not hard. most comments are negative but deals getting huge votes Amazing! Will this not eat at your CPU and Memory though, these hacks are useful …Will this not eat at your CPU and Memory though, these hacks are useful but usually have to run constantly to play apps and slows down the system alot!! Absolutely not, hacks don't run all the time it's just a way of getting it on there then it's done. The 7 inch luckily developed a crack 3 days before the guarantee expired (also within a year)so got it fixed. Again, no pressure was applied. Don't know the reason for the crack at all.So, if you buy this be prepared for it to last only a year and no more. I would prefer a lenovo to this. Also the camera results isn't really any good either. Sad! 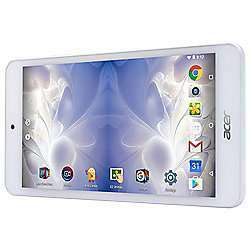 Still using an older Acer B1-850 8" tablet for some gaming apps which I see they are still selling this for £89. 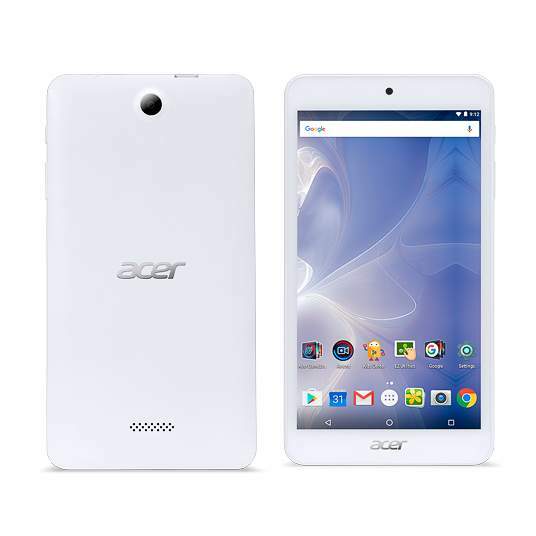 Well made and reliable device although Acer have only updated the OS once since I've had it, compared to a more recent ASUS tablet I have which they regularly update. Android devices with 1GB of RAM are essentially useless, and not worth buying any more. My first tablet, bought it 2011 (! ), had 1GB of RAM. Time to move on. Cold. Old tech that was naff when it came out. I would suggest getting a fire tablet for same price. Sadly the android tablet scean is a bit lacking at the moment. Cold. Old tech that was naff when it came out. I would suggest getting a …Cold. Old tech that was naff when it came out. I would suggest getting a fire tablet for same price. Sadly the android tablet scean is a bit lacking at the moment. I'd go for a second hand Nexus 7 2013 (Black trim, no silver,) from CeX. Probably about £60 but you get a warranty and 2GB ram, FHD screen, wireless charging, Good CPU/GPU. I've bought 5 of these over the last 3 years and they are all still running without issue. I'd go for a second hand Nexus 7 2013 (Black trim, no silver,) from CeX. …I'd go for a second hand Nexus 7 2013 (Black trim, no silver,) from CeX. Probably about £60 but you get a warranty and 2GB ram, FHD screen, wireless charging, Good CPU/GPU. I've bought 5 of these over the last 3 years and they are all still running without issue. Actually....! I bought the £109 Amazon Fire 10 last week, and it was pretty quick and easy to install Google Play, so it now has the whole Android catalogue. I didn't have to root it, just download 4 files in order. It takes about three minutes and it turns a £109 Amazon fire into (effectively) a £200+ general purpose Android tablet. Android devices with 1GB of RAM are essentially useless, and not worth …Android devices with 1GB of RAM are essentially useless, and not worth buying any more. My first tablet, bought it 2011 (! ), had 1GB of RAM. Time to move on. Had an Acer tablet...after a year it wouldn't boot up and I had to throw out. Not saying they're all the same but do a google search and seems a known issue. Dual core processor and 1GB, No thanks.